Rehersals for ‘Guess How Much I Love You’ are now underway. Adaptor/Director David Wood (OBE) has already begun working with the talented cast. 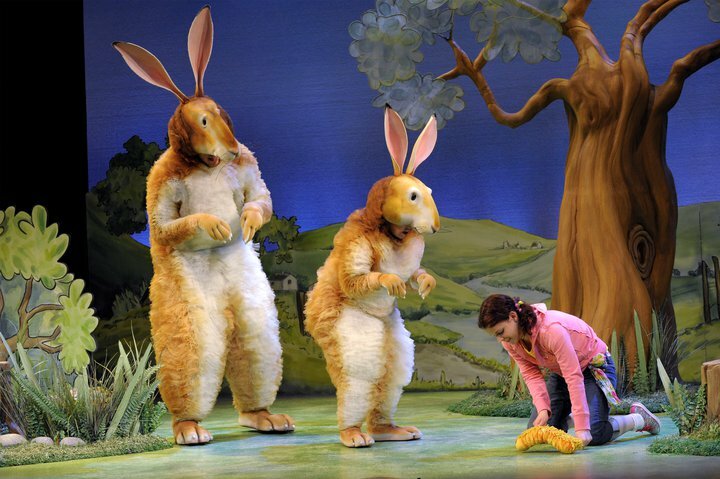 Suzie Caulcutt’s beautiful costumes and set look like they have stepped right out of Anita Jeram’s illustrations. Brian will be working with actress Emily Altneu to bring Scott Brooker’s wonderful puppets to life in this charming adaptaion of Sam McBratney’s internationally beloved children’s classic. The tour dates and updates are all available here and you can also follow the the show on Twittter and Facebook .